Who’s the hottest girl in town ? What was the inspiration behind BS (and even BomboBar)? DR: The greatest* struggle of opening BomboBar was converting our expertise from dine-in restaurants to a carry out/ fast casual concept. It’s easy for us to serve a couple who is dining at Bar Siena a scoop of house made gelato, however when a little league team of 30 shows up and wants 50 items at once, it changes your perspective. What are the most popular dishes / how often is menu rotated? LS: Our pizzas are probably some of the most popular items at Bar Siena. The Spicy Pork Coppa and Prosciutto Fig Pizza are some of the most commonly ordered pizzas. Each pizza is cooked in our red mosaic oven, handmade by Marra Forni, which heats up to 600 degrees. The oven is named, “Bella” and is known to be the hottest girl in town. The oven cooks the pizzas to perfection with a crispy crust and flavorful toppings. The Prosciutto Fig pizza comes with spiced pistachio, taleggio and local honey providing a perfect juxtaposition of sweet and salty. Also, our desserts are very popular. One of the more popular items is the Italian dessert, bomboloni. 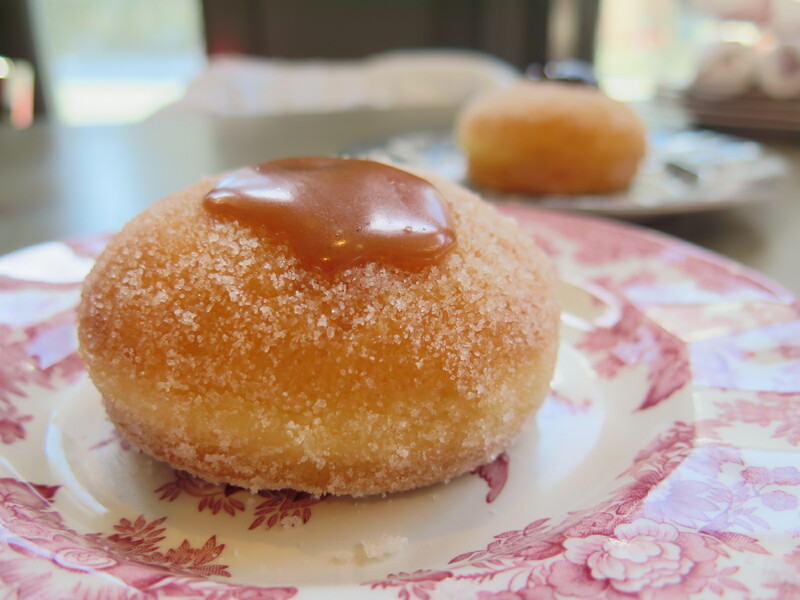 These holeless donuts are first fried and rolled in sugar, then injected with different fillings, such as a salted caramel or the mixed berry filling. It gives the sweet-tooth lover something that is satisfactory following a savory meal. DR: We rotate a portion of our menu items quarterly. We look to source the freshest and most seasonal ingredients and create dishes around those ingredients, rather than the other way around. Summer is patio season – so we look for lighter more refreshing options versus the wintertime, when the cold Chicago climate calls for heartier comfort foods to keep our patrons warm. What separates Bar Siena from Siena Tavern? LS: Although Bar Siena is the sister property of Siena Tavern, the two restaurants are very different. One, the location of each restaurant sets the tone for the atmosphere around them. Bar Siena is located in the West Loop, which can be a more casual vibe and Siena Tavern is located in River North. Also, with the different locations, Bar Siena and Siena Tavern have completely different menus. Chef Fabio Viviani has helped us create both menus for the restaurants, but after creating the dishes for Siena Tavern, we decided to go a more cicchetti (shared plates) style at Bar Siena. So while guests dine at each of the restaurants they will be able to try different pasta dishes. They can have the Sweet Corn Ravioli at Bar Siena and the Squid Ink Linguini at Siena Tavern. When is the easiest time to grab a seat without waiting? DR: We are lucky to be in a part of town that is constantly energetic. Although evening time at Bar Siena can get pretty hectic, the best way to get a last minute seat is to come in and snag a spot at the bar. We offer our full menu and it is my absolute favorite part of the restaurant, perfect to cozy up and watch the action unfold in our open kitchen with a slice of pizza and a beer.